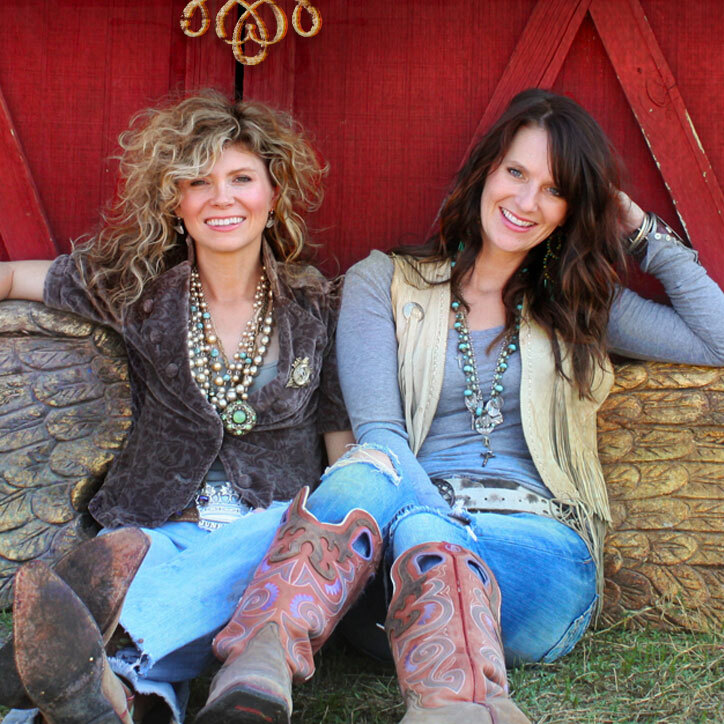 well, growing up here in the south we’ve been to our fair share of rodeos. we grew up going to every rodeo our parents could get us to, from gladewater, texas to foreman, arkansas to the big arenas of houston. from rusk county ropings (pronounced: ropins if you’re a roper of course) to local barrel races. heck, in college we once criss-crossed all of texas with a couple of team roper friends hitting every little small-town, jackpot rodeo we could find. eventually we ended up at the United States Team Roping Championship, but there’s no telling how many rodeos we attended in those 3 or 4 days. we were short on sleep and living the high life in cheap motels with the smell of horse manure on our boots wafting through the cab of the truck. all that said, we have never. i repeat, NEVER been to the NFR. the mothership of all rodeos. BUT, as they say, there’s a first time for everything…. so technically, this is our first [national finals] rodeo. 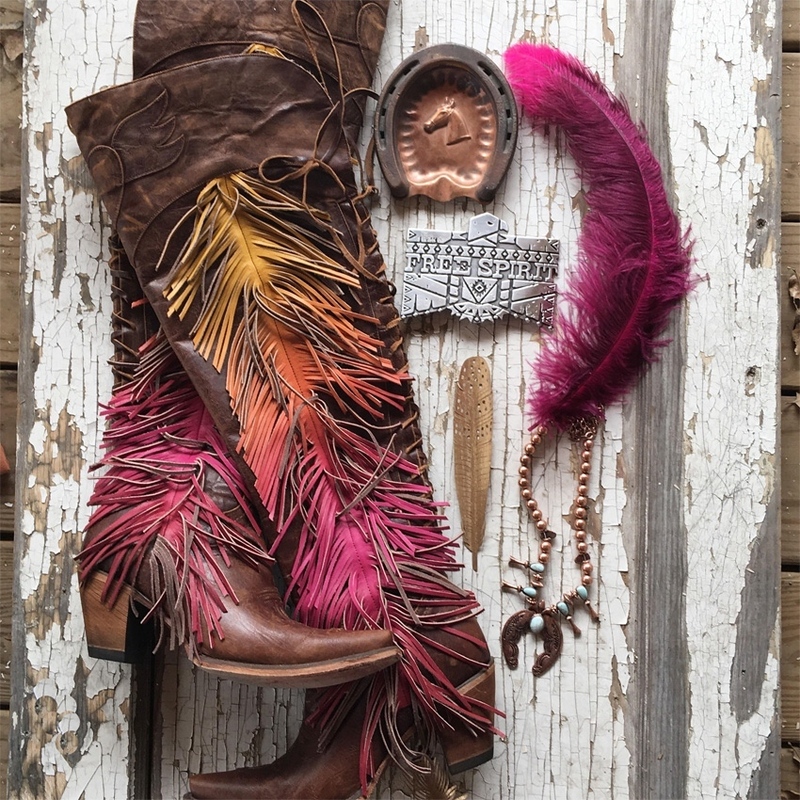 and the word on the street is that this big kahuna of all rodeos is like a fashion starship enterprise of epic proportions. it’s like New York Fashion Week runway style meets the wild west. like dolly parton and willie nelson’s closets collided in a perfect star party with a little bit of jimi hendrix thrown in. WE. CAN’t. WAIT. fashion tips are welcome! NFR tips are welcome! y’all let us know the scoop and come seeeeeeee us! 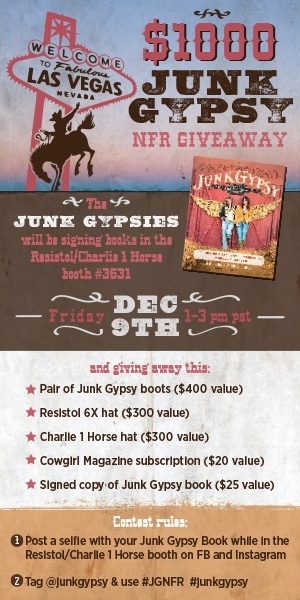 we’ll be at the Resistol/Charlie 1 Horse booth Friday, 12/9 1-3pm. 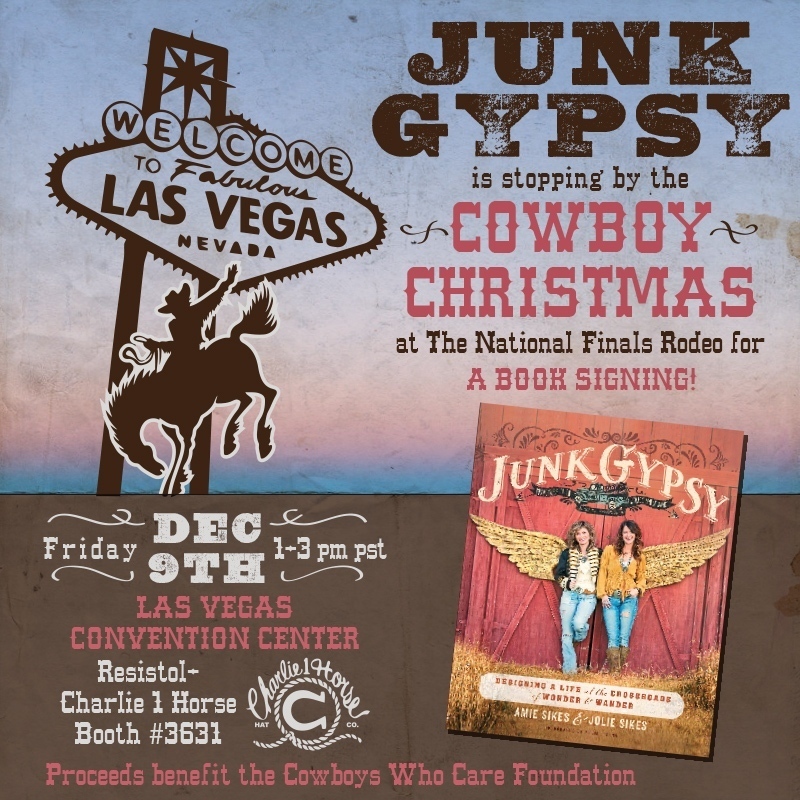 all proceeds benefit the Cowboys Who Care Foundation. AND you could WIN BIG!!! BIG GIVEAWAY! 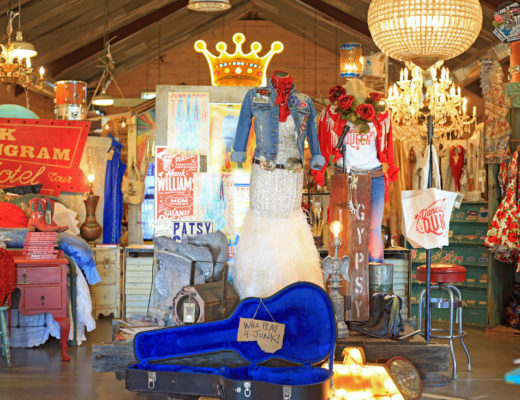 ?$1000 Junk Gypsy NFR GIVEAWAY! ?